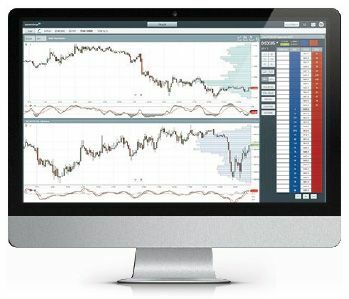 MarketDelta Cloud is a first of its kind SaaS (softwareasaservice) trading solution for futures traders. 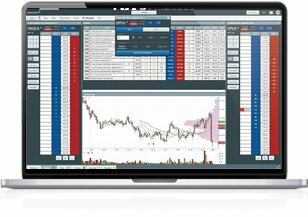 It offers a full trading and charting experience common in desktop software but with all the conveniences and access provided by a modern cloud based trading solution. Start trading in less than 60 seconds. 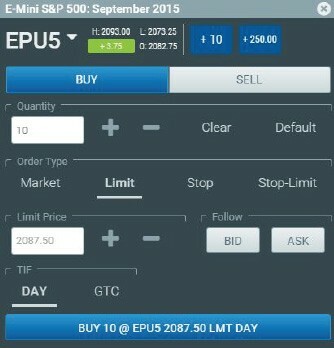 THIS is the future of futures trading! Access from browser on Any Computer, Anywhere, Anytime. Available on Tablet and Mobile soon. Lightning Fast, Cutting Edge Cloud Computing Technology. Charts, Watchlists, Static DOMs and More for FREE! 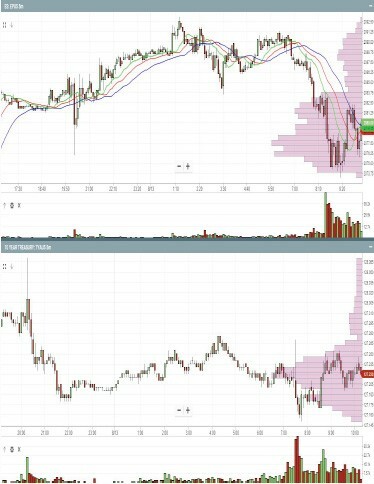 80+ Technical Indicators, Modern HTML5 Charts. Server Side Orders for Faster Execution Free 10 levels of Depth. Simple and Very Easy to Use No Installs; Just Login. Save Money On Data! No Platform Cost or “Lifetime Fees”. The MarketDelta Cloud is FREE! Yes, you read that right. No Subscription. No Lifetime Fee. Save Money, Increase Your Bottom Line. Get the Flexibility to Trade Anytime, Anywhere! Everything you Need is Bundled into the Service. A primary advantage of using the MarketDelta Cloud is its ease of use and cost. It is free and it fits the modern lifestyle of a trader who wants access to their account anywhere, anytime using cutting edge trading, charting, and cloud technologies. Desktop trading solutions are bloated with unused features and always have to be upgraded. The MD Cloud is refreshingly intuitive, lightning fast, and best of all easy to use and access. “Trade in” your old platform and upgrade to the future of trading. Take a demo now! WHY TRADE WITH THE MARKETDELTA CLOUD? One of the primary reasons is because you can do it anywhere. You no longer need to be tied to your computer at home or work. Just login and trade at a time and place convenient for you. Simplicity is at the core of MarketDelta Cloud. We studied the most common routines a trader does and made them as easy as possible to accomplish with MD Cloud. Simple and Effective. The TRADE button is positioned at the top center of the application. This way no matter what is open you can quickly and easily take action on any market and place trades. It is simple and intuitive and allows you to build orders to your exact specification. The place order button at the bottom confirms the exact specifications for the order you created using the intuitive interface. Candlesticks, Bar, Area, Line, Point and Figure, Renko, and Others. Technical Indicators, Volume Profile, Custom Indicators, and More. Write on chart, freehand, trend lines, Fibonacci, Gann, Elliot Wave, and More. 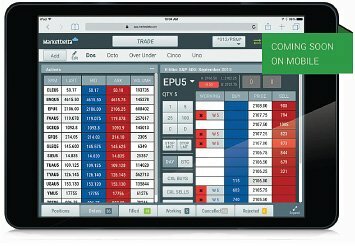 Data + Charts + Trading as a Single Service – Access Anytime. Anywhere. Users save an average of $96 in monthly data costs. Just login from any computer or device and view charts. Up and running in 60 seconds. Everything within MarketDelta Cloud is designed around making it easy and convenient for you to place trades, no matter what is on the screen. With watchlists, you can quickly and easily monitor prices and when the time comes, please a trade right from the watchlist. 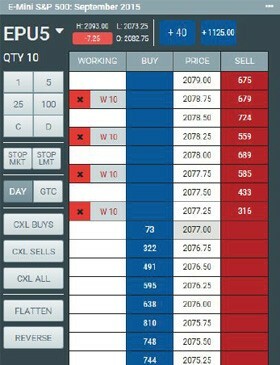 Any cell that has a background color is clickable and will bring up the trade ticket with the appropriate buy or sell order. DO YOUR OTHER PLATFORMS WORK ON TABLETS AND PHONES? Life is too short to be strapped to the desk all day. Because MarketDelta Cloud is build “in the cloud”, you are free to roam! This allows you to check prices and even trade wherever you want from any device you want. MarketDelta Cloud brings you the freedom to do things on your terms.